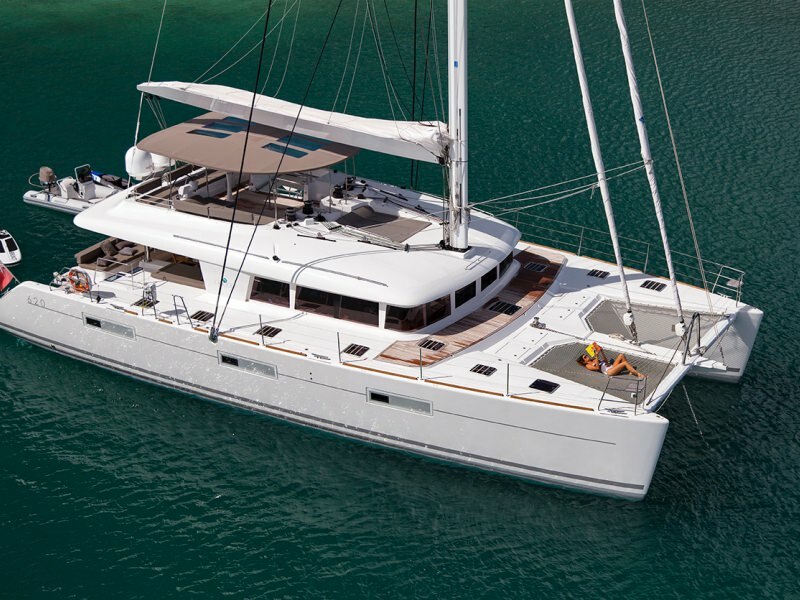 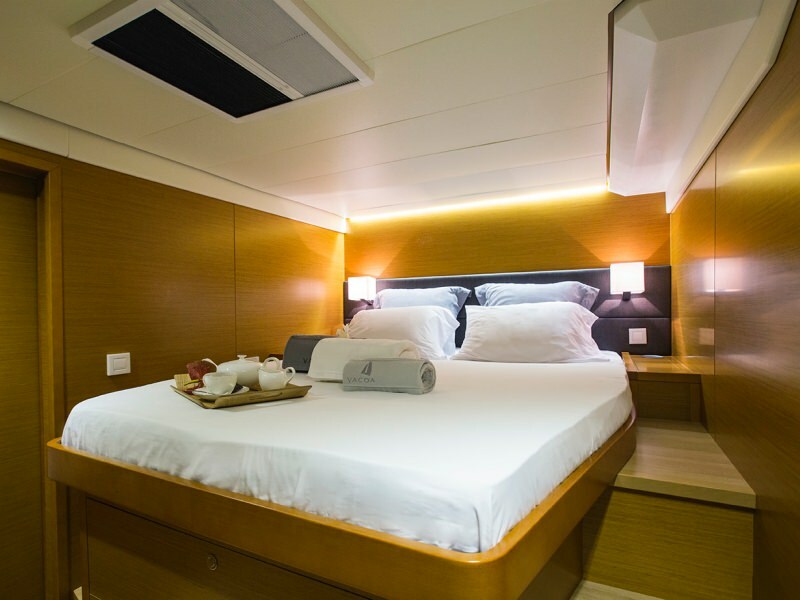 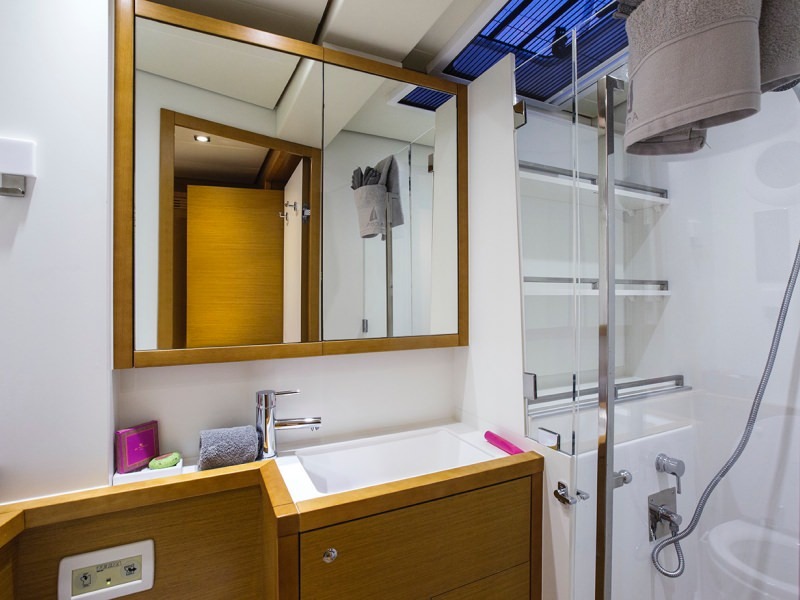 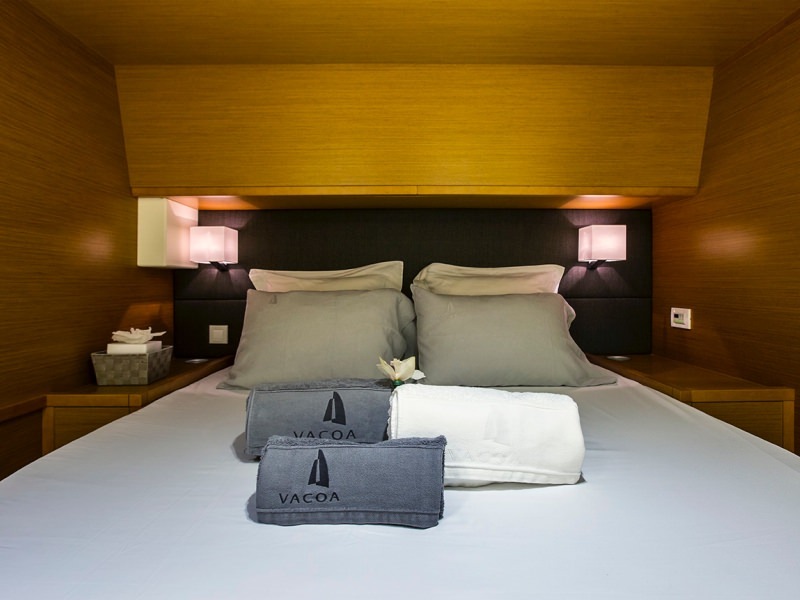 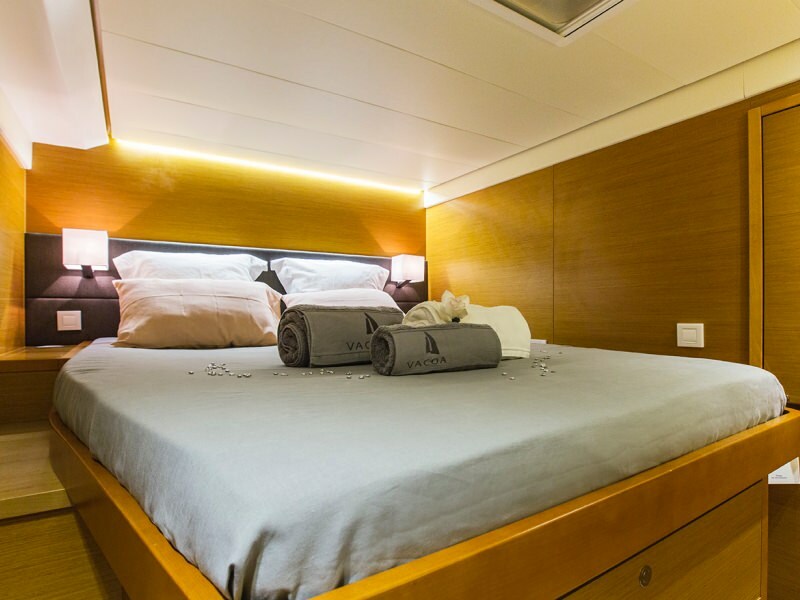 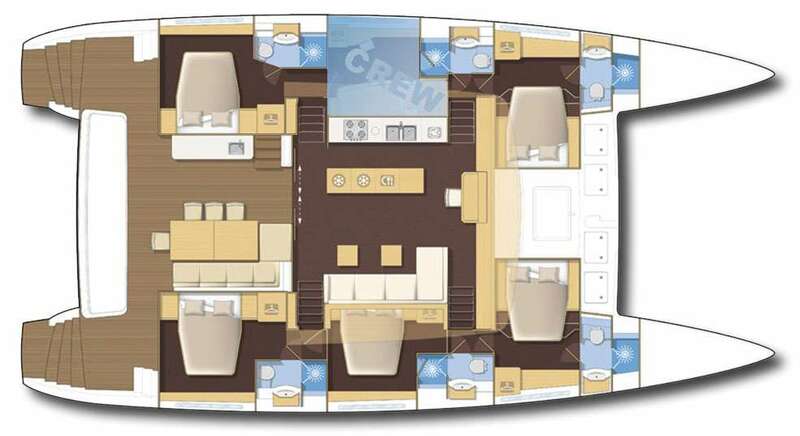 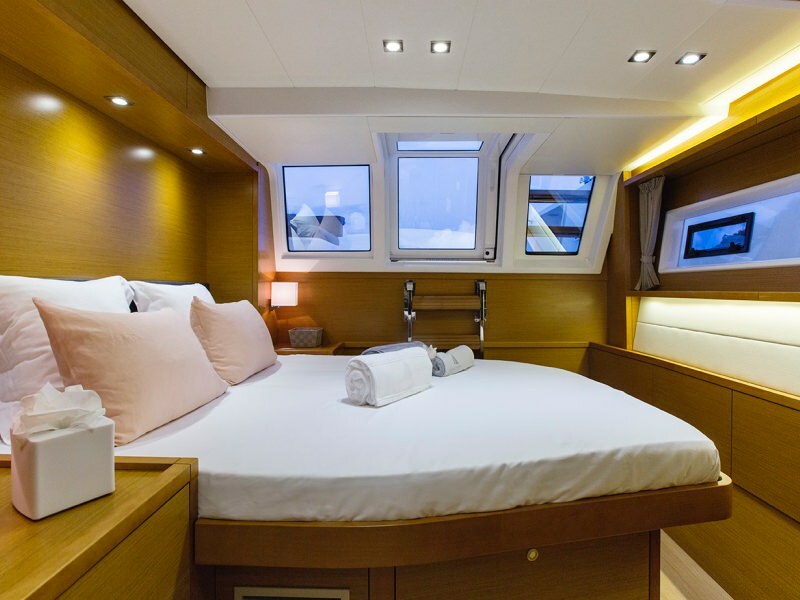 SAIL AWAY , Lagoon 620 launched in Spring 2014, accomodates 10 guests in 5 double cabins (queen beds) with ensuite bathroom and separate showers. 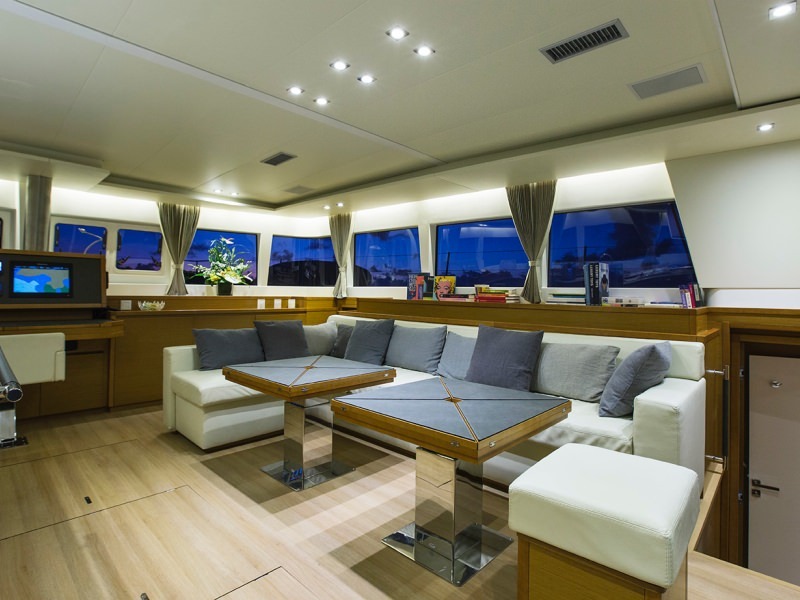 She has numerous high quality equipment (bedding, crockery, decoration, Bose system home cinema, playstation, games, ect…) and is the ideal boat for family or groups looking for a luxurious, comfortable and fast catamaran. 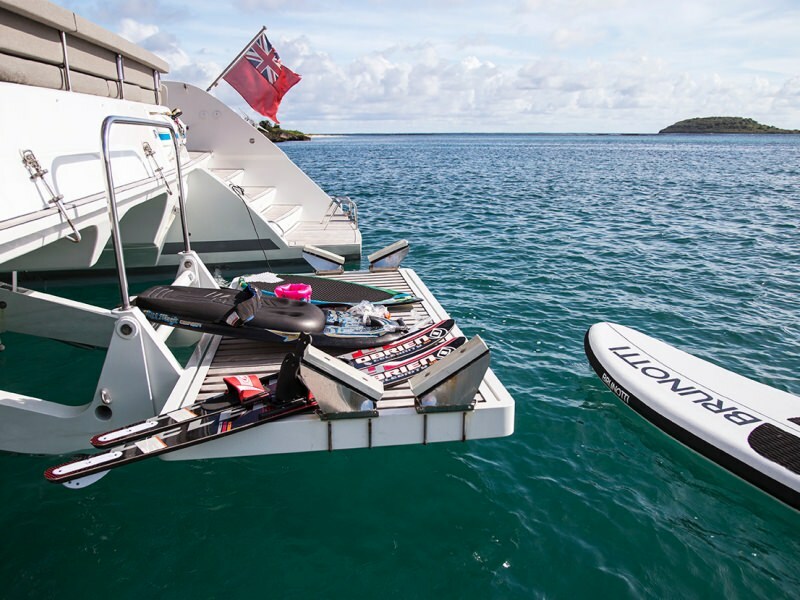 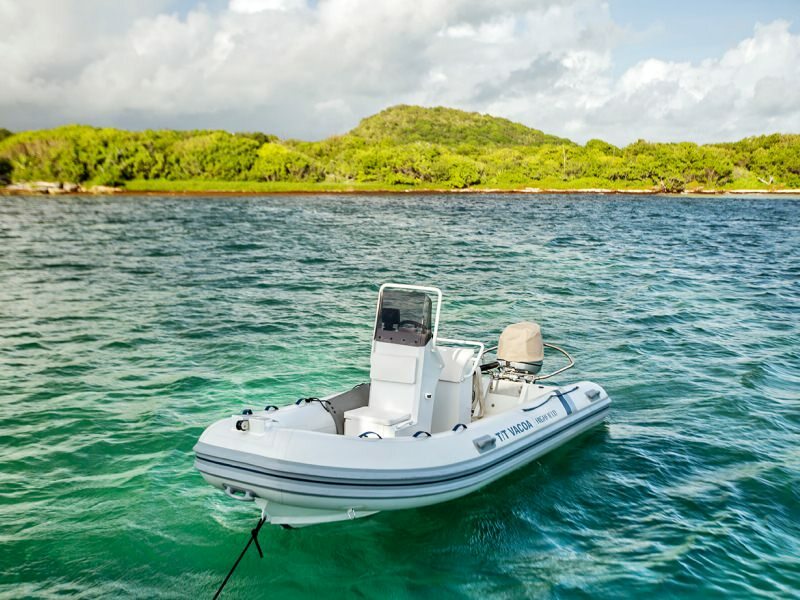 With respect to water sports, her tenderlift is an ideal sunbathing plateform while its 17″ and 90 HP tender is perfect for waterskiing, wakeboarding and kneebording. 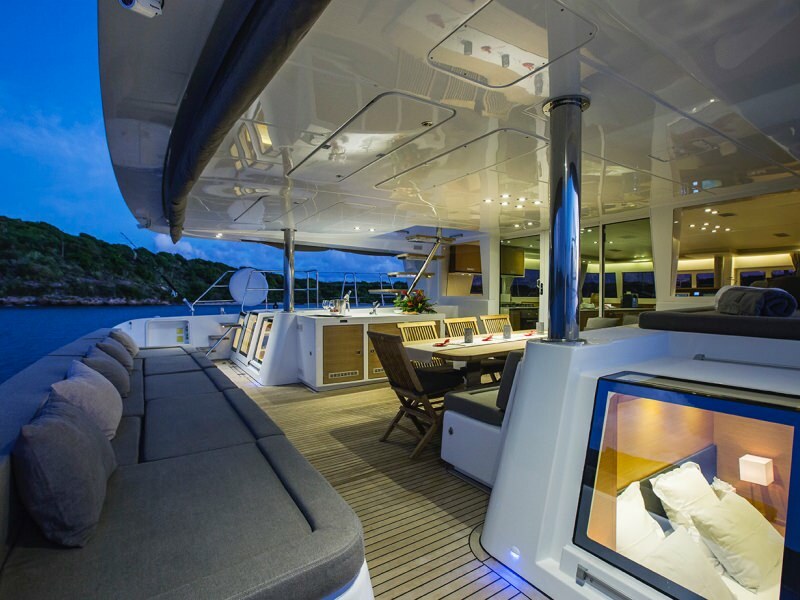 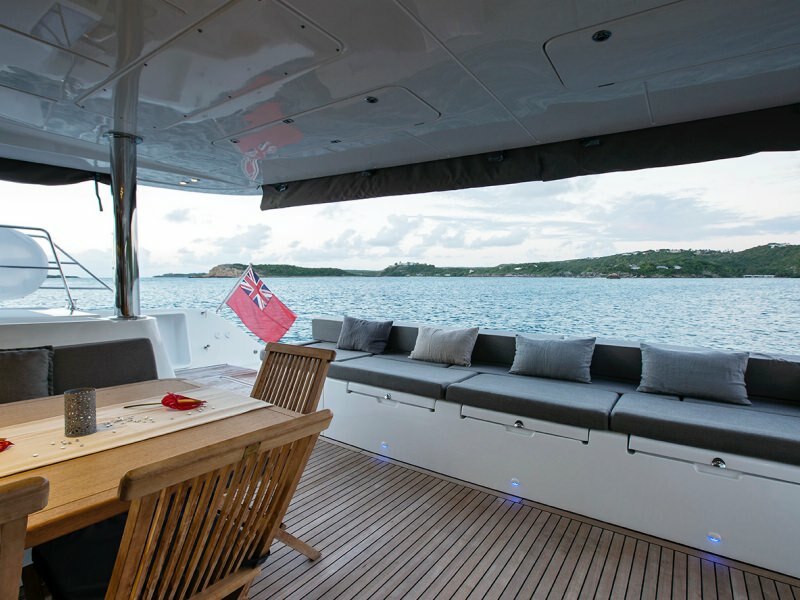 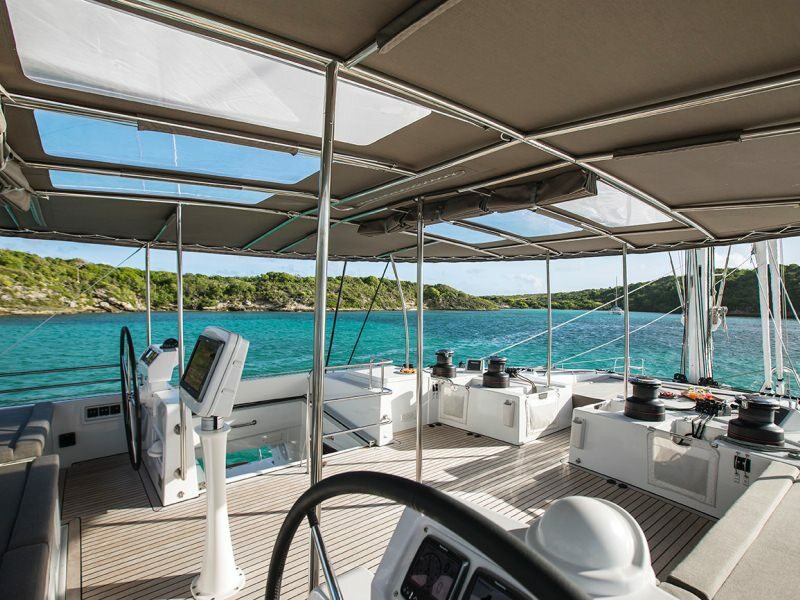 Besides snorkeling gear, paddle, fishing rods with stand, she is also equipped with a flybridge with a cocktail table, cushions, mattresses and a bimini. 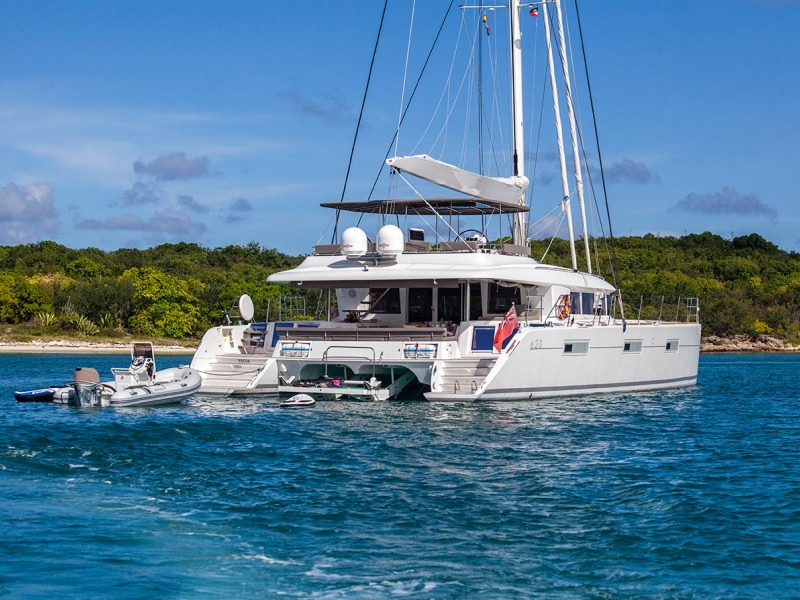 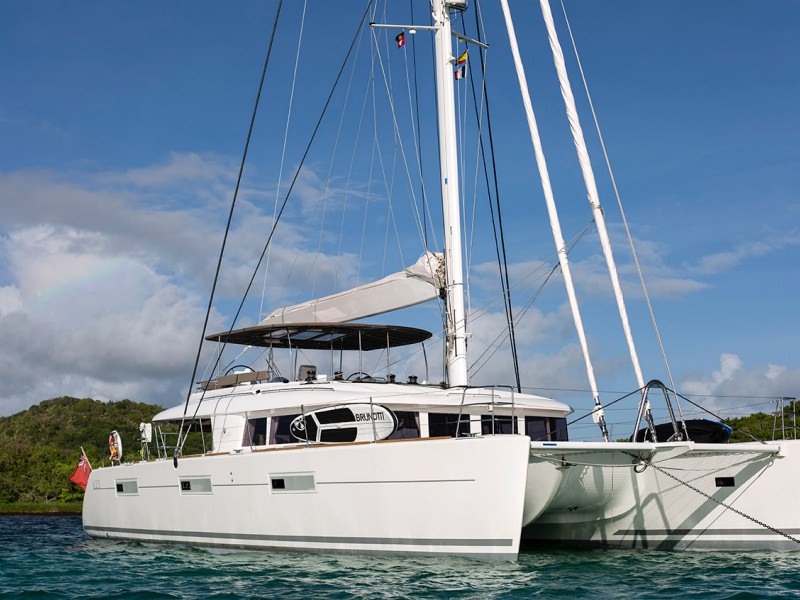 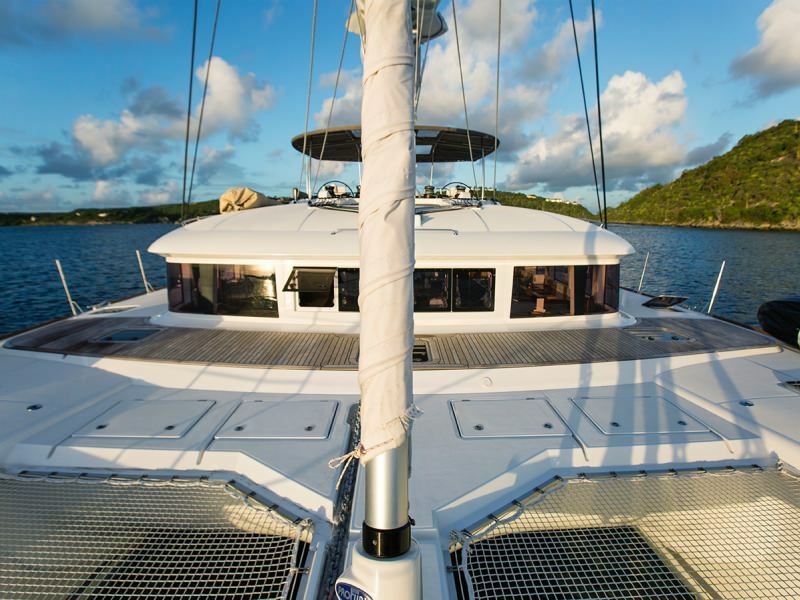 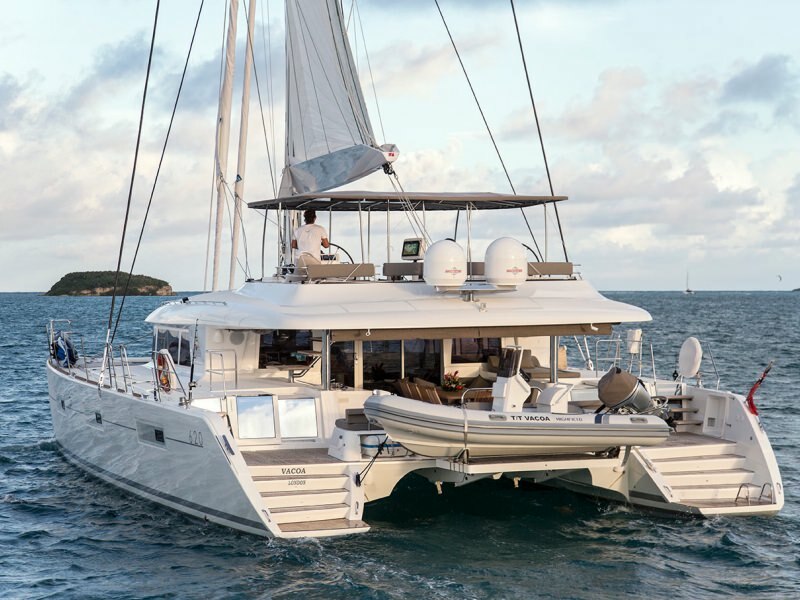 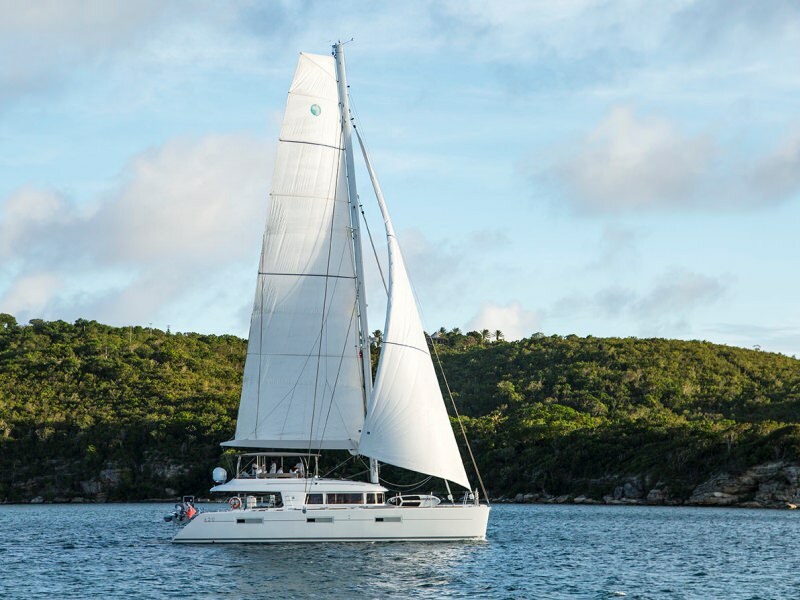 Based in Tortola, SAIL AWAY is available for charter from November to April every year to sail in the islands located between the Virgin Islands and Grenada. 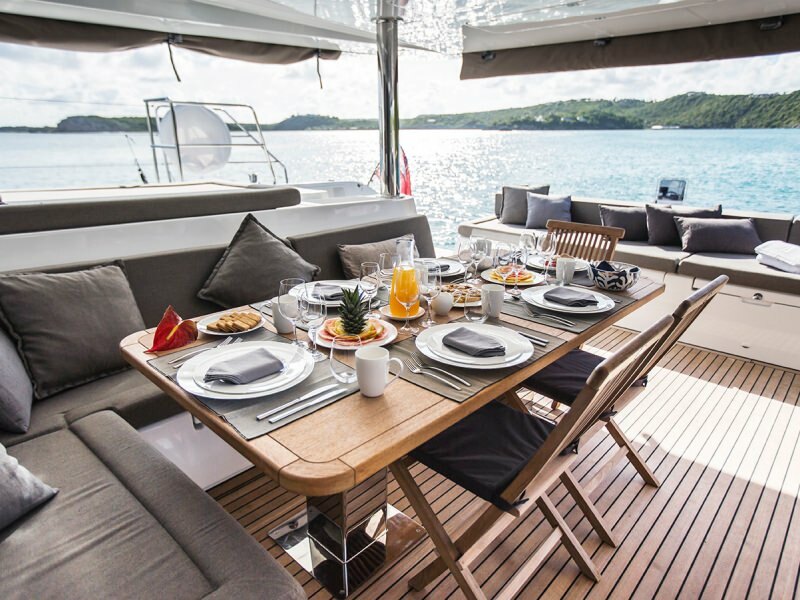 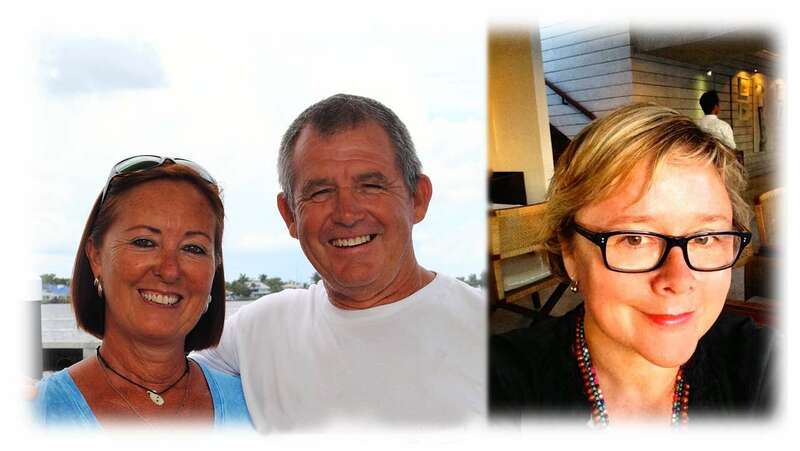 Her wonderful crew of three members includes a professional chef. 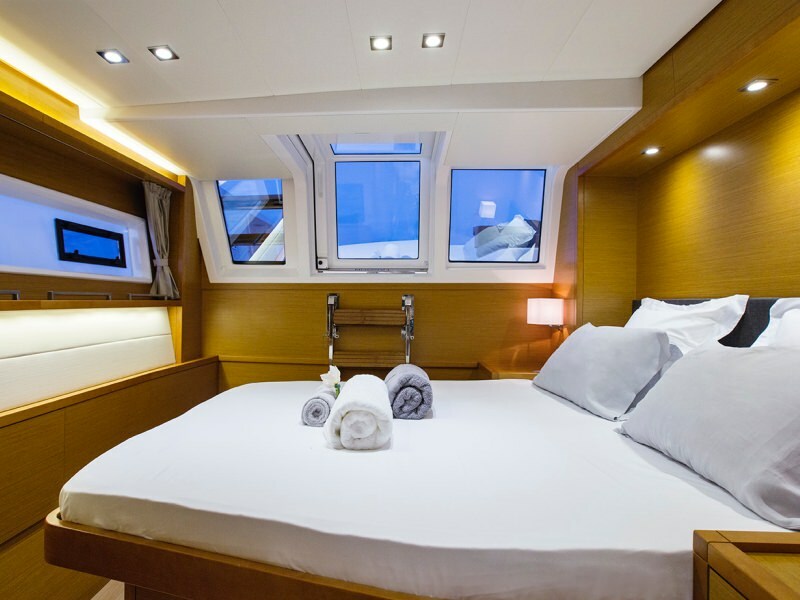 Given the five double beds aboard, SAIL AWAY is ideal for families of up to six or five couples.